Fashion is such a powerful tool that I couldn’t look away as I began to learn about what it meant to support an ethical and sustainable fashion industry. There is so much good that can come out of shopping conscious fashion—from contributing to causes we care about, like the environment, to supporting companies and small brands that value people over profit. And while there's no perfect solution to many of the environmental, social, and economic issues we face, there are steps to be taken and I believe minding how we shop, and being aware of who we are supporting and what our dollars are contributing to, is a great place to start. 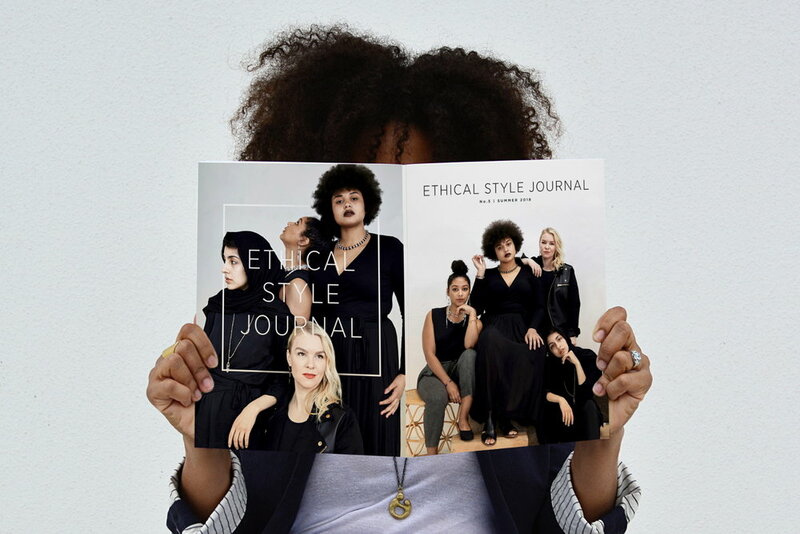 Ethical Style Journal magazine was born from the idea of making shopping this way fun and accessible. It is our platform to help shape the fashion culture into one that is as much about awareness, action, and accountability as style; a magazine using creative means to inspire much-needed change in the way we participate in fashion. I hope you’ll enjoy reading our magazines as much as we enjoy producing them!